Our Museum has been developed and is operated entirely through the effort of volunteers. We have come a long way since 1969 when the Museum was founded to being an Accredited Museum under the scheme operated by Arts Council England and having the largest collection of historic trolleybuses in the world - many of which can operate. We have big plans for taking the Museum forward into the future, so we need more volunteers to help translate those plans into reality. Trolleybuses may be the centrepieces of the Museum - and it takes a lot of effort to keep them running and undertake renovation work to bring more of them up to standard - but there is a wide variety of other work required to keep our Museum operating and developing further. 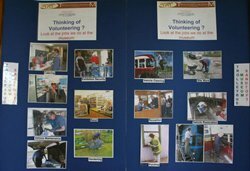 Volunteering - What is it all about? In simple terms, you come along to our Museum and give us as little or as much of your time as you want (or are able), to do things that will help us. 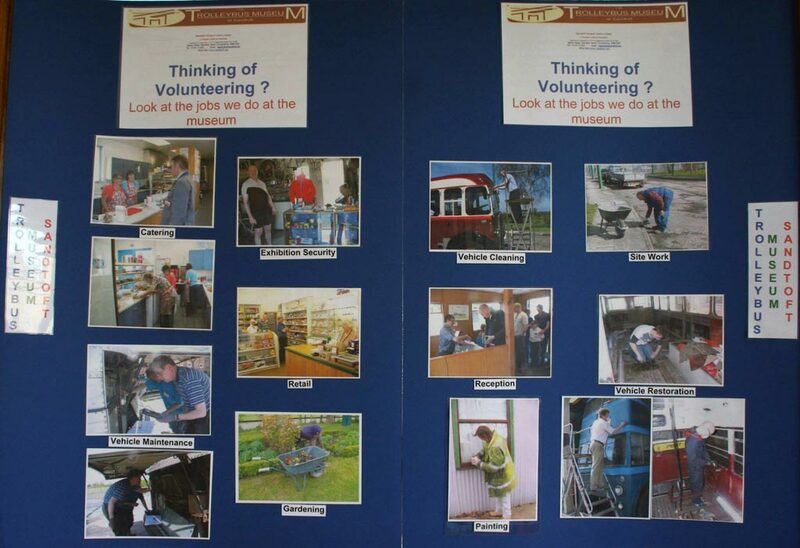 You don’t have to have an interest in trolleybuses or transport to volunteer at our Museum. We like to be able to help the local community if we can, and believe we are an asset to the area. Volunteering can benefit you if you are “between jobs” (it becomes something to add to your CV), or want to get out and meet other people, or want to help a “good cause”, or are recently retired and want something to fill some time, or simply have some time to spare. It could be that you can bring with you and apply skills and/ or experience to what you do, or you could learn how to do new things. Some degree of commitment is wanted so we can plan properly what is to be done. Enthusiasm and energy also helps! Doing something “different” can be very enjoyable and even therapeutic. Working on a project and seeing it progress can be very rewarding, as can using your skills and know-how to help make something happen at the Museum that others will appreciate. Meeting and working with other volunteers can be great fun and allows you to build up some great friendships. We have volunteers at the Museum from all walks of life, and we all seem to get on well together as we work to make our Museum (hailed by so many visitors as very friendly) succeed and prosper. Volunteering - What tasks need to be done?